Last week brought two notable news items about Amazon and the future or retail. Most noted was the deal to buy Whole Foods, which would greatly accelerate Amazon's move to the center of the still rudimentary combination of bricks and clicks. 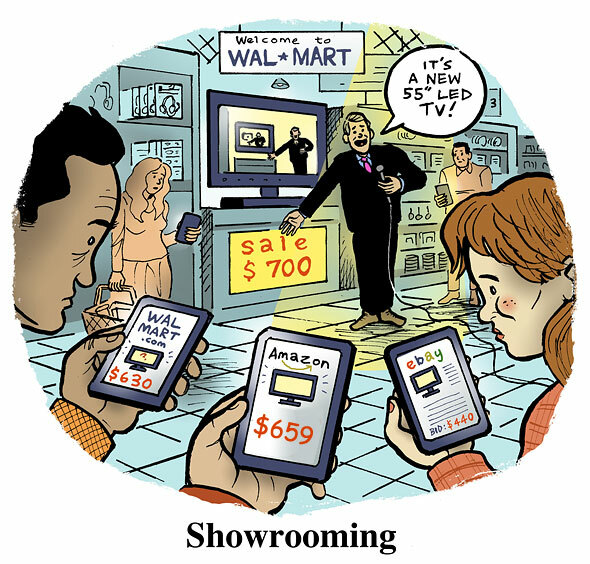 Drawing some limited attention was the issuance of an Amazon patent (filed in May, 2012) on smart ways to turn showrooming to a store's advantage. I have been dabbling in bricks and clicks since at least twenty years ago, when I tried to pitch Steve Riggio of Barnes & Noble, on a bricks and clicks strategy to counter Amazon (to no avail). It was gratifying to see that the Amazon patent cited seventeen of my patents or applications as prior art. My 2013 post, The Joy of Showrooming: From Profit Drain to Profit Center, outlined promising ideas much along the lines of aspects of Amazon's patent. My ideas were for collaboration of the showroom owner and the Web competitor, to optimize the best value exchange, based on showrooming referral fees that compensate the showroom owner for the showroom service provided. The Internet of Things has gotten much press about how it connects not just people and businesses, but literally everyThing. Few grasp even the early impacts of this sea change, and even the technically sophisticated can only dimly grasp where it will take us. Bricks and clicks is just an aspect of that. 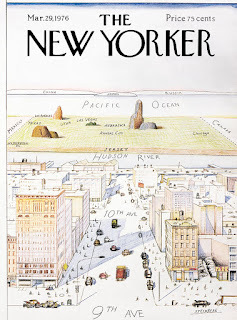 It is much like the famous New Yorker's View of the World magazine cover by Steinberg. Traditional retail businesses view online from their store-centered perspective, adding online services to counter and co-opt the enemy attack. Online businesses view stores from the online-centered perspective, dabbling in stores and depots to expand their beachhead. Only a few, like Bezos, see the big picture of an agnostic, flexible blend of resources and capabilities that most effectively provide what we want, when and how we want it. To see the larger view we must climb above our attachments to stores and warehouses, or Web sites and apps. We must consider the objectives of the customers and how best to give them whatever they want, with whatever resources can be applied, as costs permit. How we orchestrate those resources to meet those objectives will change rapidly, as our systems and their integration improves. Only the most far-sighted and nimble will see and go more than a few steps down this path. The WSJ op-ed on the merger and article on patent give some hint of the kind of changes we can look forward to (and I expand on that below). Fasten your seat belts, it's going to be a bumpy ride. This blog, User-Centered Media, is focused on my dominant perspective on technology -- as a tool to improve our lives. While many of the most creative people in technology work for businesses that sell technology products (resources) for others to use, for most of my career I worked for companies that wanted to use technology. Vendors want to make what they know and sell what they make. Users want to find whatever resources they need and put them together to help their people do things -- whether the resources are people, computers, Web sites, networks, devices, stores, warehouses, or transport. The two articles I cited above give a hint of what we will begin to see form in the middle. Amazon has been in the lead and just took a big step forward. The WSJ op-ed observes: "Mr. Bezos’s ambition is...oriented toward accelerating consumer gratification however possible." Additional perspectives on Bezos' user-centered innovation style were in the Times a few days ago. In a NY Times Upshot article today quoting Erik Brynjolfsson, "The bigger and more profound way that technology affects jobs is by completely reinventing the business model...Amazon didn’t go put a robot into the bookstores and help you check out books faster. 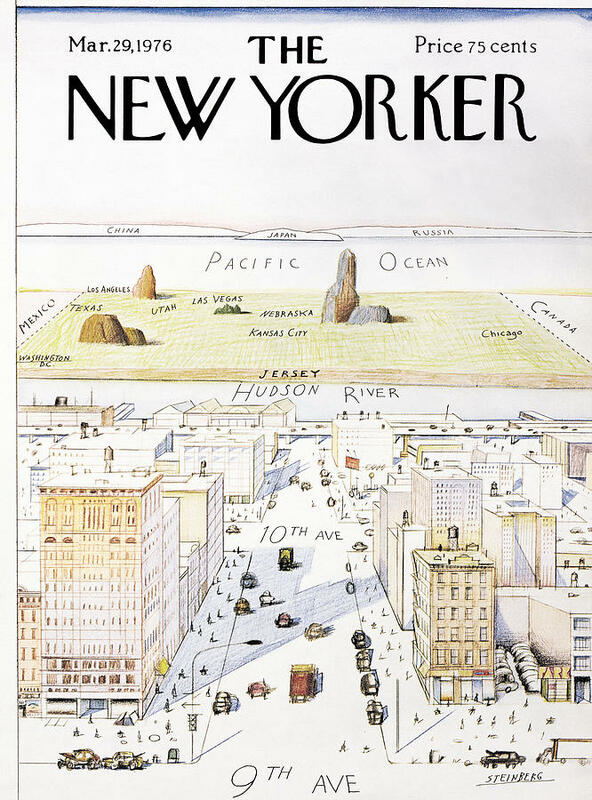 It completely reinvented bookstores." More detail on the guts of integration is reviewed in another Times article today. Still another Times article today looks at the symmetry of the Amazon-Whole Foods deal and the Walmart-Bonobos deal. And still another looks at the similar synergies of the Target investment in Casper. Bezos is well on the way to this broad reinvention of retail, but, as suggested in a recent (May!) article on how VR/AR might factor into this by my old friend Gary Arlen (and our online comments back and forth), we are still far from game over. With that, I indulge in some comments on my own dabblings in this space. In-store uses of the Web as a kiosk to provide a new richness in self-service (using Firefly, book reviews, and other aids). I can help not only with the new media side of this, but also with the back-end integration. Just first steps -- but all in software, with no need for any changes at all to their physical logistics. Where might B&N be now if Riggio responded to my letter? It is not clear where Amazon wants to go with this, and whether they want to build an ecosystem with other strong players. But as Arlen and I agree, these are still early days -- others may seize the opportunity to build a showrooming referral ecosystem (but now should consider to what extent the Amazon patent might impede them). In 2014 I co-led the very stimulating MIT Enterprise Forum of NYC: Think Tank Session III: The Future of Retail: Reinventing how people get stuff (one of a series on The Future of X). This Think Tank brought together thirteen "lead participants" with diverse expertise in the field for an open brainstorming with about sixty other technology entrepreneur "participants." While aspects of the video are now dated, those who care to look are likely to find many examples of forward thinking that are still timely. 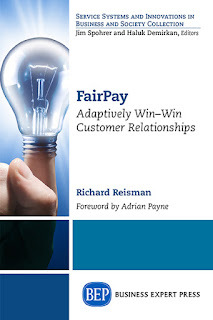 While most of my work on my current main project, FairPay, is not specifically oriented to bricks, it does bring the same kind of user-centered, customer-first thinking to retail. Much of the focus is on the digital realm, but it suggests some new directions that relate to the physical realm as well. For more ideas on those aspects of the future of retail, check out my other blog, The FairPay Zone. ​How come my AI don't bark when you come around? 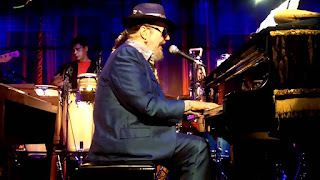 I listened to the inimitable Dr. John last night singing his very wry song, "How come my dog don't bark when you come around?" In a distracting moment of acute nerdiness, it occurred to me that this was a great example of the deep challenges of AI: Multiple levels of meaning and abstraction that require not only common sense understandings beyond the words and phrases, but the layers of conceptual, emotional and literary meanings, such as suspicion and irony. Just parsing the literal meaning is the easy part. It is not so hard for our AI to understand the literal question. Does it understand the likely answer to to that question? Does it know what suspicions the likely answer leads to? ...and what actions those suspicions motivate? Can Alexa or Siri or Watson figure that out? 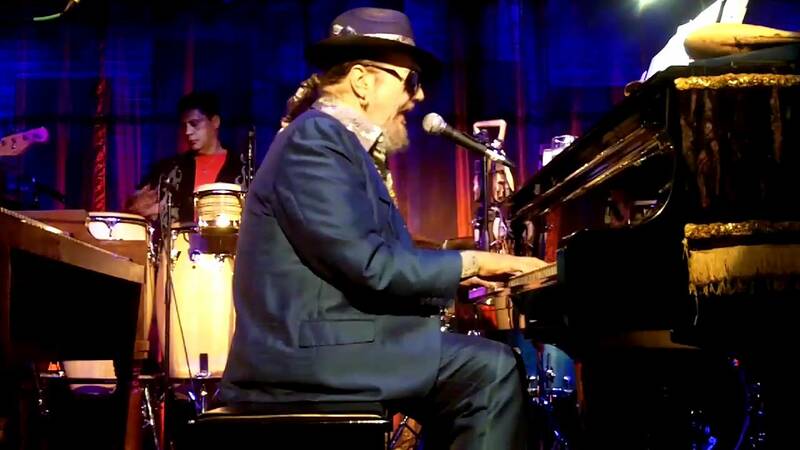 How, and how well. Now? or when? What other levels of understanding does AI face? Can that AI hunt?